Please see your child's teacher for a list of things that can be done to earn volunteer hours. 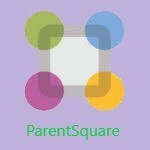 ParentSquare is a great place to if you are looking to start volunteering. School supply lists are posted on ParentSquare.